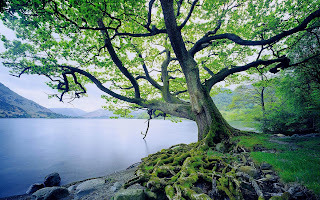 "He is like a tree planted by streams of water that yields its fruit in its season, and its leaf does not wither. In all he does, he prospers." A tree planted by a stream has a decided advantage over one planted in an area that is plagued by drought. I remember one particularly dry summer when the trees produced little fruit and lost their leaves very early in the season. Some trees even died. The tree by the stream, though, has a constant supply of life-giving water. For this reason, it flourishes. We are much the same. Our ability to spiritually flourish and produce fruit depends upon how well we have planted ourselves near the life-giving stream. Jesus compared the Holy Spirit to a stream of living water. In John 4:13-14, he told a Samaritan woman who had come to a well for water, "Everyone who drinks of this water will be thirsty again, but whoever drinks of the water that I will give him will never be thirsty again. The water that I will give him will become a spring of water welling up to eternal life." Later, in John 7:37-38, Jesus said, "If anyone thirsts, let him come to me and drink. Whoever believes in me, as the Scripture has said, 'Out of his heart will flow rives of living water.'" In the following verse, John adds this commentary: Now this he said about the Spirit, whom those who believed in him were to receive, for as yet the Spirit had not been given, because Jesus was not yet glorified. A major difference exists between a tree and a Christ-follower. The tree has no choice as to whether it is planted by a stream or in a desert. Once the seed is dropped, the tree's location is settled. On the other hand, we have a choice. We choose the stream or the desert, and many times we choose to vacillate between the two. A new year gives us a new opportunity to start fresh. If you have spent the last year in a spiritual desert, spiritually thirsty and beaten down by constant sandstorms; start the year with a spiritual relocation. Come to the river. 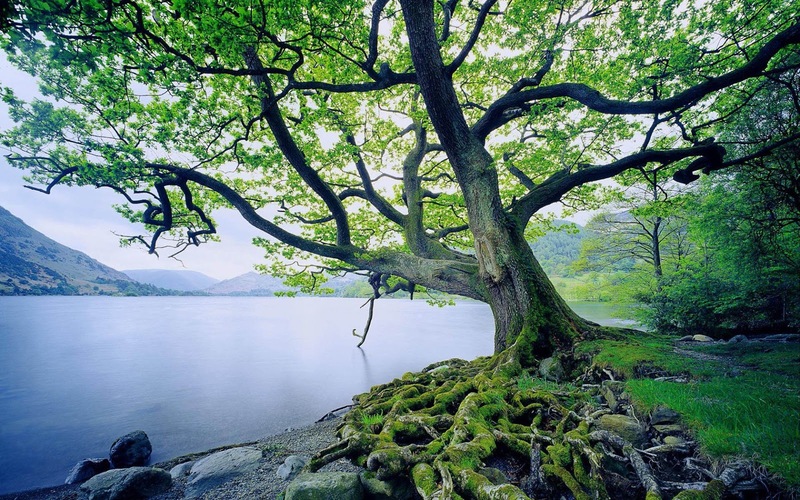 Sink your roots into the One who gives life and gives it to the full. Reconnecting to Jesus is the first step to a prosperous 2016.